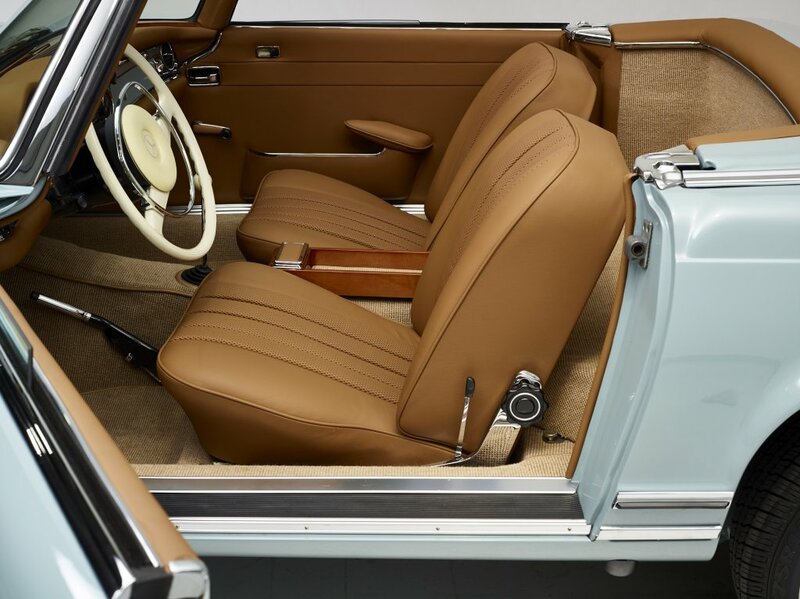 Fully restored with an eye for luxury, quality and originality. 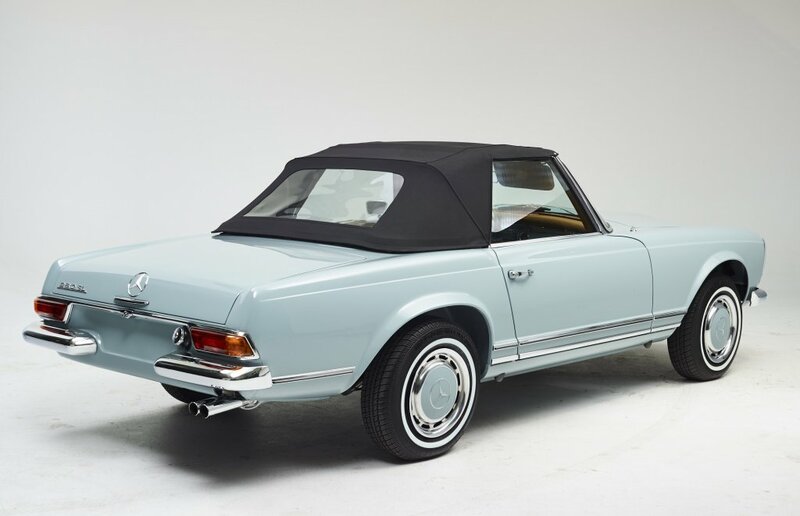 Mercedes-Benz 280sl Pagoda. 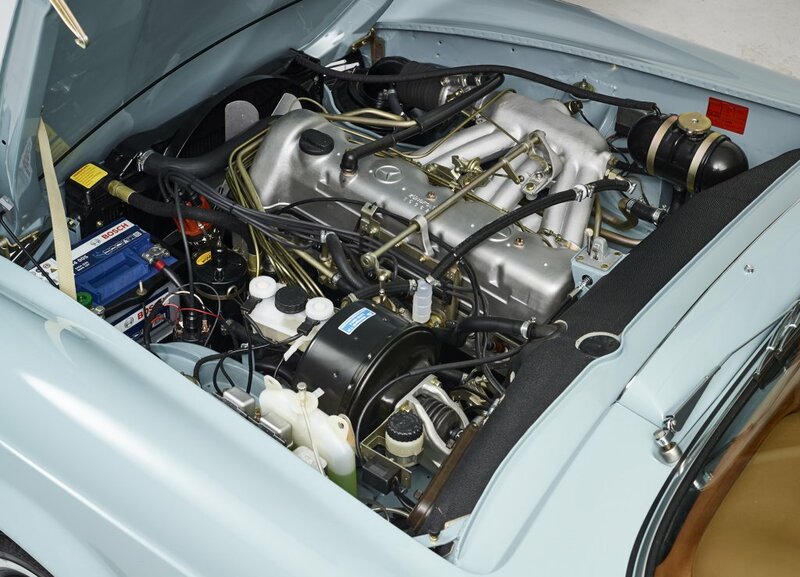 This car has been restored between September 2017 and October 2018. The original color Horizon blue 304G has been renewed. 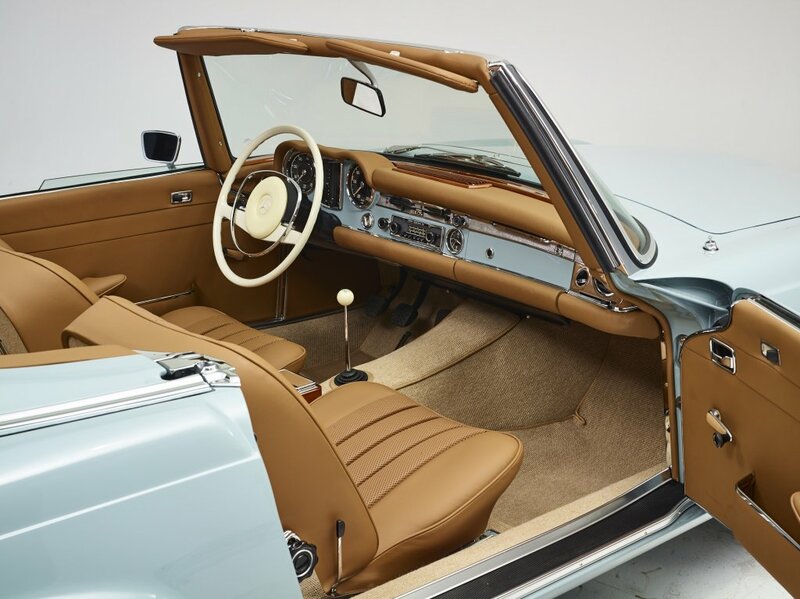 In combination with the Safran leather interior, this is a sublime car. Engine and gearbox get a total overhaul, as well as the front and rear axle. A new soft top, new white wall tires and original Becker radio can not be missed. 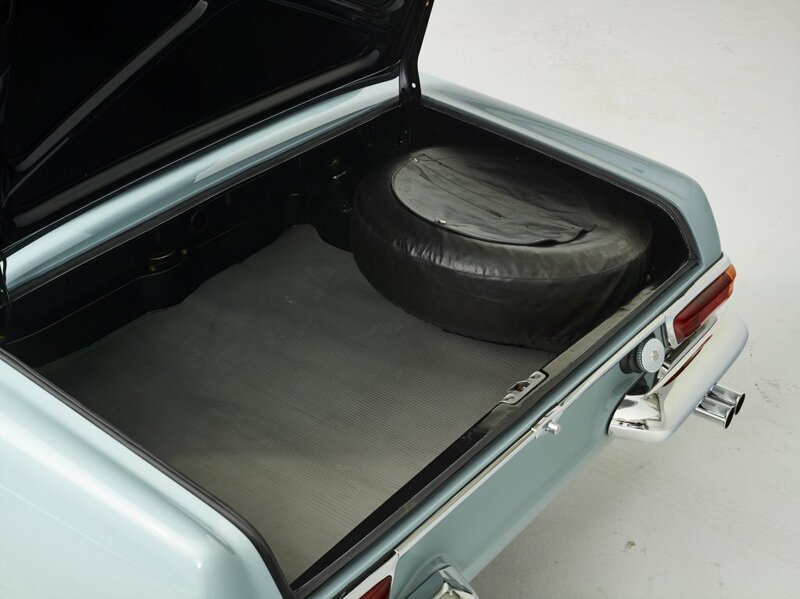 Hardtop included. 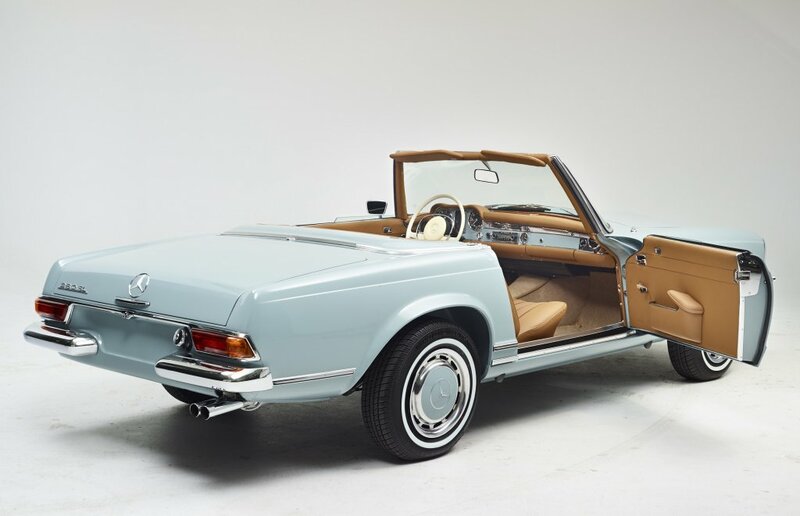 A top restoration with attention to originality. INTERESTED? Call +32 (0)475 67 35 68 or contact us online! Immediately after purchasing our vehicles are given a very thorough check up. We monitor bottom, brakes, suspension, engine, lights, bodywork, paint, interior, ... All these details are mentioned on the car list and together we discuss this list with you. 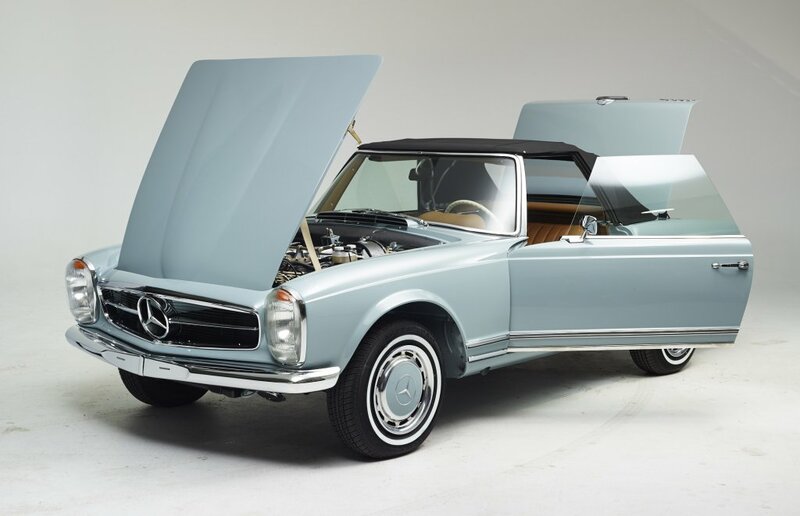 A qualitative Mercedes Oldtimer is the investment of your life. The value of these cars is making a real climb. 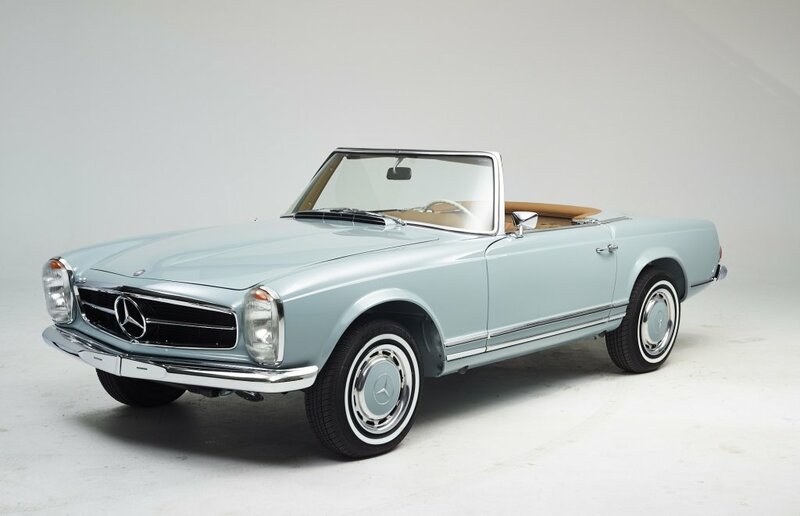 The 190 SL, the Pagoda's, the 220 SE, are the big gainers of the moment. Because of their rarity they are highly prized for collectors. 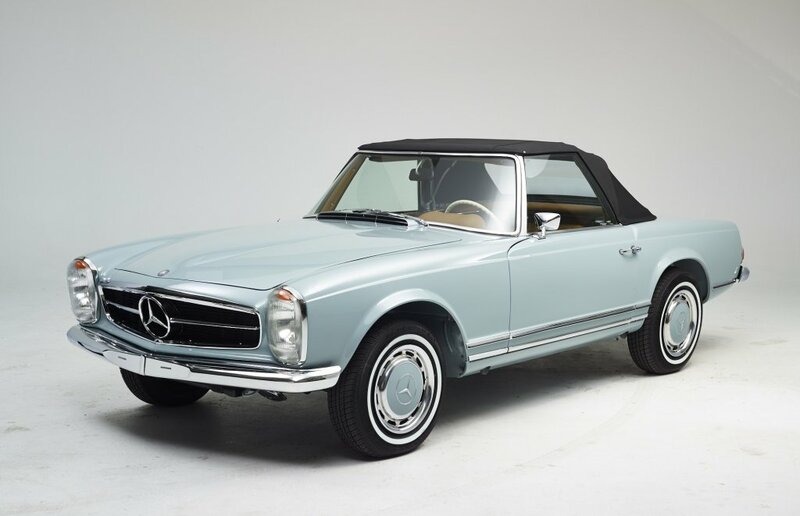 The W107 (350 Sl, Sl 450, ...) has started to increase in value. 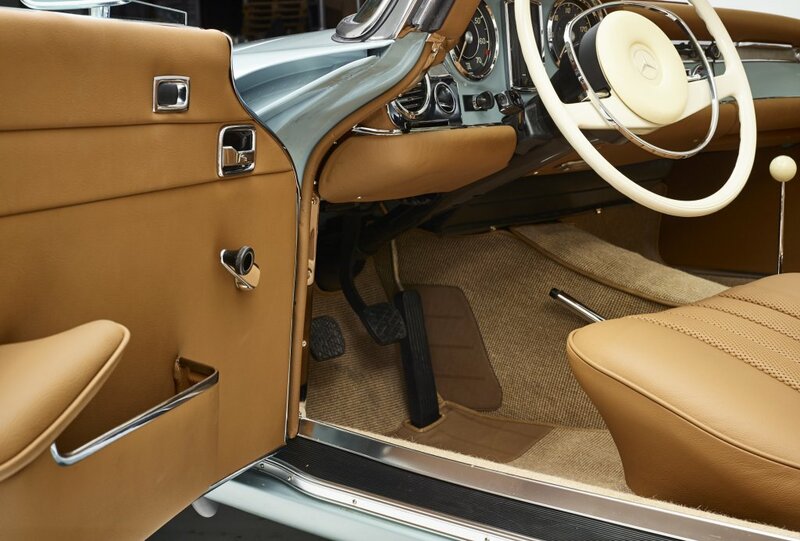 Oldtimers are seen as one of the best investments for the moment.